Hi everyone, hope your gardening and food growing is going well. 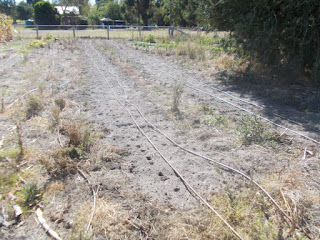 Now that the temps have cooled down I have been busy rotary hoeing and preparing beds for the broad beans. I completed and planted eight beds today and rotary hoed a dozen more for planting over the next week. There is still plenty of time and I have many more to go but I am waiting for some grass to die before digging up the rest. I told you I had harvested one of my beds of peanuts. I thought I would show you how they grow on the plant. 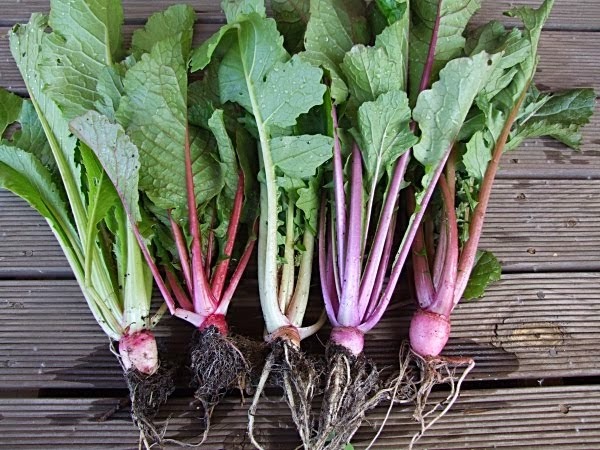 Flowers open along the stems and then produce 'pegs' that grow into the ground as the plant grows. 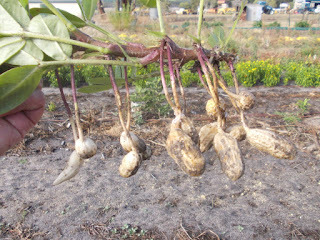 You can see here that where the branch attaches to the main stem the peanuts are mature but are younger as they get to the growing tip. 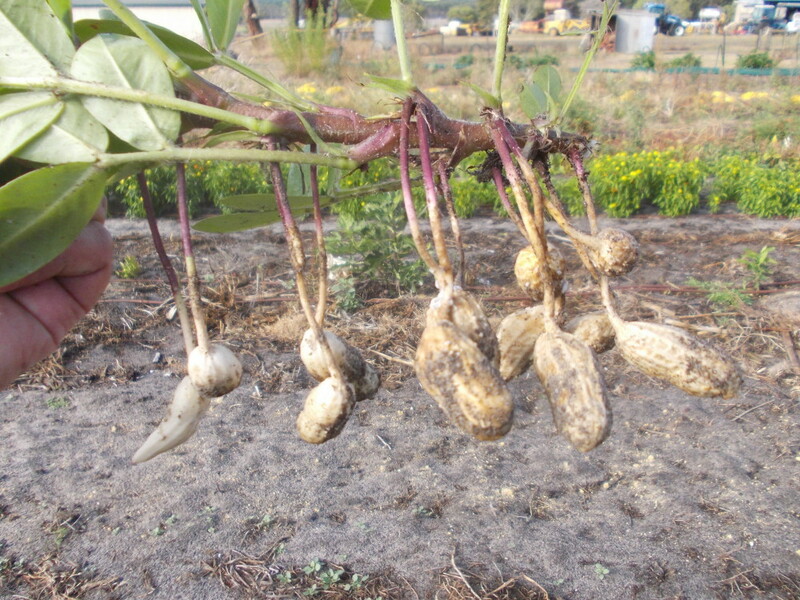 When you harvest the plant you will still have some immature nuts that you will have to bin but that can't be helped. After drying the plant for a couple of weeks you can tell which are immature and can be thrown away, and the rest are picked off the plant and left to dry fully. Compost is a great addition to your garden and many people wonder if they should do a 'proper' compost heap or go with the easier tumbler. There are pros and cons for each, and I will discuss the advantages and disadvantages of tumblers here. If you have a tub under your tumbler to catch drips, this is a great nutritional additive for your plants. Just add it to a watering can with some water.